Mr. F. John. Buck, Jr., is currently the Director at the Office of Privacy and Records Management (OPRM). He was nominated for the Director, OPRM in FY’11, after serving as the Director of the Privacy Service, since FY’08. He was selected for that position because of his extensive knowledge and experience in supervising enterprise-wide privacy initiatives, strategic budget planning, and human resource management. These skills are fundamentally critical to the organization in order to build a strong privacy infrastructure that will enable the Department to reach future goals associated with emerging technologies, while protecting the personal and health information of our veterans and employees. Mr. Buck has a high level of technical and administrative expertise in the area of privacy and records management, as well as a proven track record for managing multiple projects associated with a complex VA environment. Before taking this position, he was acting as the GS-15, Deputy Director for Veterans Benefits Administration, Office of Facilities, Access and Administration. In this position, he directed a large, diverse staff supporting a wide range of privacy and records management programs. He has in-depth knowledge of VA specific infrastructures, such as organizational elements, key contacts, agency specific policies and procedures. He has successfully managed projects and programs in a VA mission critical environment, with praise from his peers and subordinate staff. Working with various VA work groups and committees, Mr. Buck has contributed significantly in creating a culture of privacy and records management excellence, incorporating technology and legislative policy into good workable practices. He has injected new vigor into these programs, rewarding staff and gaining respect by improving the privacy of the nation’s veterans and employees alike. In his previous position, he was a Computer Specialist with the Department of the Navy, Space and Naval Warfare (SPAWAR) Systems Command. He participated significantly on a variety of Department of Defense projects, as well as several with the VA. He was a Project Leader for VA’s Automated Reference Materials System (ARMS) and the Web Automated Reference Materials System (WARMS). These systems were introduced in 1991 and have continued to present day with various modifications and add-ons for additional tasking. 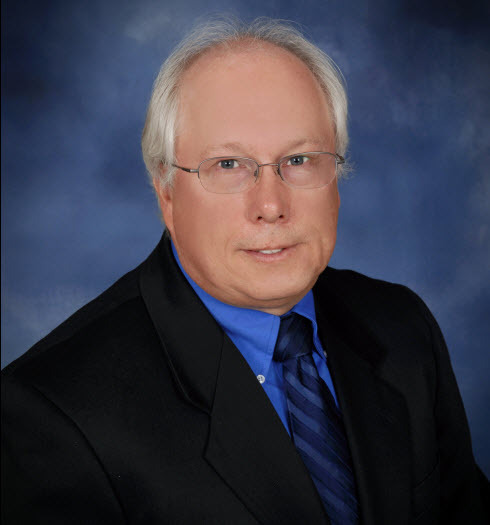 He has had considerable experience in preparing major service line budgets for personnel, systems, and infrastructures. He managed the VBA printing budget (excess of $3M), having oversight to the VBA Mail Budget ($4M), and the VBA Records Management budget ($6M). He is familiar with the VA IT Capital Investment process, required to support VBA’s equipment needs and consulting services. He has prepared business plans, requirement analysis, cost benefits analysis, and statement of works. He has also performed as a Contracting Officers Technical Representative (COTR). He routinely briefs the Chief Information Officer and other senior VA management officials. In addition, he has developed several training courses and participated as an instructor for numerous training sessions. He received the Senior Fellow designation from the Council for Excellence in Government, August 2008, and he is a graduate of the VBA Leadership Coaching, September 2007, and has numerous sustained Superior Performance Awards and Letters of Appreciation. He is a dedicated, articulate and, highly respected employee. Based on his past achievements and demonstrated commitment to excellence within the VA, Mr. Buck has been a great asset to OPRM in performing the duties of this position.